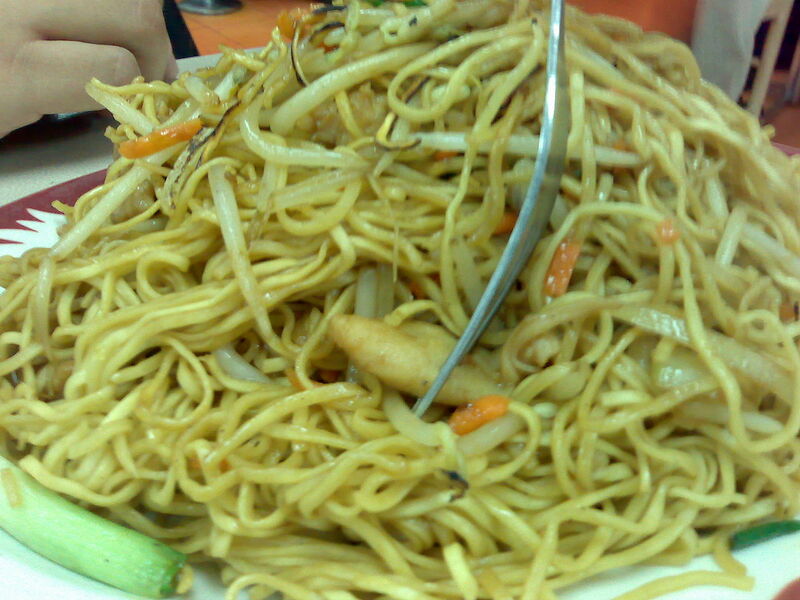 Chow Mien is a variety of stir-fried noodles tossed with vegetables and with or without meat or chicken. Chow Mien is popular throughout the Chinese diaspora and appears on the menus of all Chinese restaurants throughout the world. This is an easy recipe for the chicken version of this Chinese cuisine which is really delicious and fantastic in presentation. Combine all ingredients for chicken in a bowl, toss to mix and coat chicken well. Keep covered for 30 minutes to marinate. Combine all ingredients for sauce in a small bowl, stir to mix well and keep aside for a while. Put a wok or skillet over medium-high heat with oil in it. Add in garlic, stir and sauté for half a minute then add marinated chicken pieces. Cook for 8 to 10 minutes while flipping over occasionally or until well browned from all sides. Stir in carrots, toss and cook for 3 to 4 minutes or until carrots and chicken are tender. Stir in bok choy and noodles, drizzle with prepared sauce, toss and stir-fry for 3 to 4 minutes or until the bok choy is cooked through and noodles are nicely and evenly coated with sauce. Stir in scallions, toss and transfer onto serving platter. Serve immediately and enjoy.